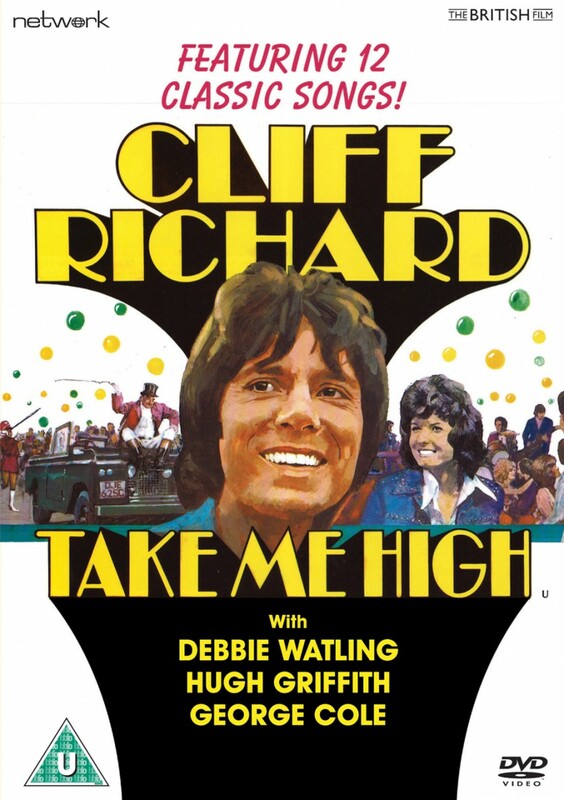 Cliff Richard, in his last film-starring role to date, plays Tim Matthews, an ambitious young financier who gets the shock of his life when he's assigned a new posting in Birmingham – a far cry from the New York job he was promised! Making the most of things he lives on the canal in a converted barge, but he manages to put his foot right in it when he meets the pretty Sarah and refuses her a loan! Featuring twelve classic songs – including the Top 30-selling title track – and filmed extensively on location in Birmingham, Take Me High co-stars Debbie Watling, Hugh Griffith, George Cole and Anthony Andrews. Unavailable on home video for many years it is featured here as a new remaster from original film elements in its original theatrical aspect ratio.